Hitomi Nishiyama was born in 1979, and grew up in Osaka, Japan. She took up classical piano at the age of 6, and started playing jazz at age 18 when serendipity came in the form of two deeply inspirational CDs — Chick Corea’s Now He Sings, Now He Sobs, and Bill Evans’s Undercurrent. 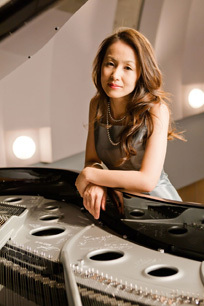 While majoring in Jazz Piano at the Osaka College of Music, Hitomi embarked on her career as a professional pianist. 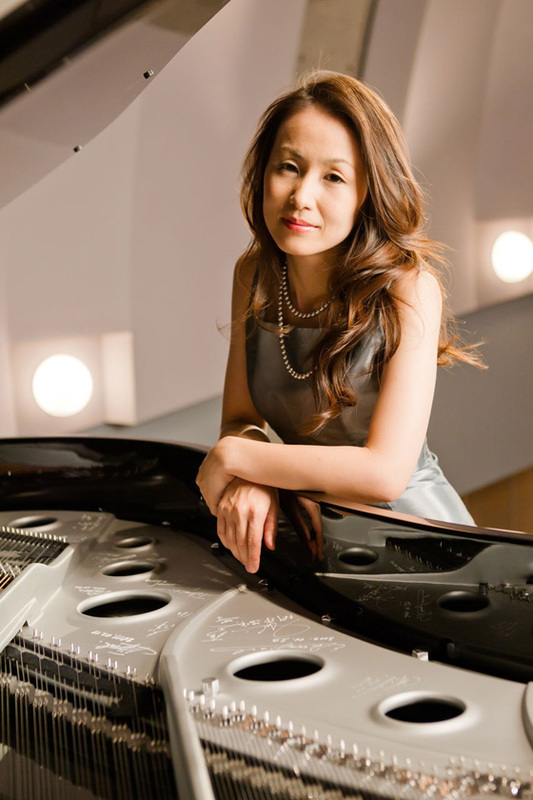 After graduating from college, she devoted herself to the music of Enrico Pieranunzi and came to be noted for her exceptional performances at various Japanese houses of jazz. In 2004, Hitomi released her first and self-produced album titled “I’m Missing You” comprising of eight original tunes. I’m Missing You garnered her more than a favorable recognition, and resulted in marketing opportunities all over Japan. Hitomi’s ascent to national fame culminated in 2005 when she won a Grand Prix at the Yokohama Jazz Promenade 2005 Competition. 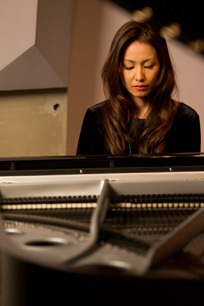 In 2006, Hitomi teamed up with two of Sweden’s most talented musicians, Hans Backenroth (Bs) and Anders Kjellberg (Dr), and recorded her debut album “Cubium” in Stockholm. “Cubium” gained accolades even before its national release in September 2006, and further established Hitomi’s eminence in Japan. In 2007 Hitomi and her Swedish trio were invited to perform at the Stockholm Jazz Festival, making Hitomi its first Japanese guest musician. Her performance won rave reviews from the Swedish press. More recently at the renowned Glenn Miller Café in Stockholm, Hitomi performed and recorded with Hans Backenroth (Bs), Paul Svanberg (Dr), and Karl-Martin Almqvist (Ts) for two nights of solid groove. After then, Hitomi released 3 albums “Many Seasons” (2007), “In Stockholm” (2008), “Parallax” (2008) from Spice of Life. The latest album “Parallax” reached the first top of the HMV jazz chart, and was nominated for the Swing Journal jazz prize. In 2010, her song named “Unfolding Universe” won a 3rd prize in jazz category in International Songwriting Competition 2009 [USA]. And her song named “Soul Travel” was selected as a semi-finalist, too. She was recognized as a prominent composer. In 2011, She released 6th album “Music In You” which selected the best 100 CDs of 2011 by CD Journal magazine. She thinks a great deal of her own background with female sense of Japanese, Japanese lyricism. Her music is the fruit of both Japanese essences and European music. It is recognized for its inimitable, exquisitely beautiful melodies. On the other hand, Hitomi’s performances with her trio radiate with passionate energy, and are known to cut across known genres. She was consequently invited to perform at numerous jazz festivals in Japan, including Yokohama Jazz Promenade, Takatsuki Jazz Street and Jozenji Jazz Street. Her music is sought after by fans across Japan, and Hitomi is proving herself as one of Japan’s preeminent female pianists. nominated the best 100 CDs of 2011 by CD Journal magazine. SOLJP0008 Spice of Life, Amuse Inc.
SOLJP0005 Spice of Life, Amuse Inc.
SOLJP0003 Spice of Life, Amuse Inc.